The Funeral former Sinn FÃ©in councillor of Teresa Lunney (Nee Tish Holland) takes place at St Mathias Church on the Glen Road in West Belfast.Picture Mal McCann. 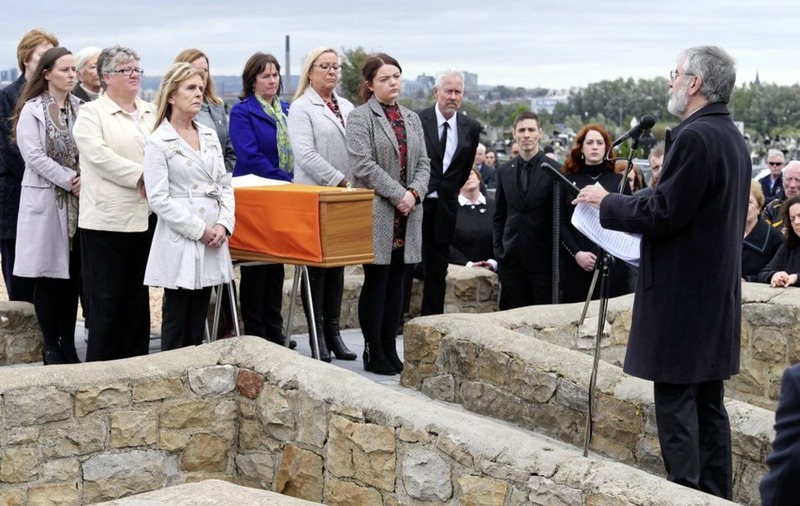 SINN Féin's Gerry Adams gave the oration at Milltown Cemetery's republican plot at the funeral of former councillor and internee Teresa (Tish) Lunney. 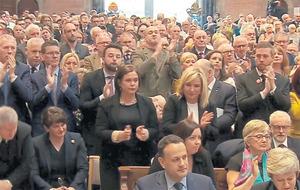 Hundreds of people had earlier attended 11am Requiem Mass at St Mathias's Church on the Glen Road in west Belfast, where traditional Irish music picked by Mrs Lunney accompanied the service. As 17-year-old in 1973, Tish Holland was the second woman interned in Armagh Gaol, and the longest female internee. Mrs Lunney was elected Sinn Féin councillor for Upper Andersonstown to Belfast City Council in 1985, where she served for eight years. Her coffin was yesterday carried by family, fellow female internees and friends and colleagues from her time as a community worker. 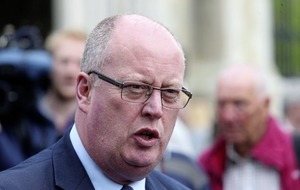 "Tish's politics were shaped by the world about her, by her family, her community, her class, her gender and her life experience," Mr Adams told mourners. "She was very conscious of discrimination and injustice. She was politicised by the events of 1969, the battle of the Bogside, and the pogroms of that August. "She was inspired by the actions of Maire Drumm, Marie Moore and the hundreds of women who broke the Falls Curfew in 1970. 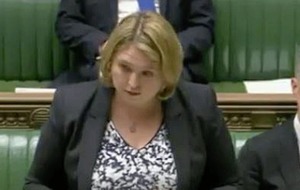 And she was angered and outraged by the actions of the RUC and British Army." He said after two terms on the council, Mrs Lunney decided "to concentrate her considerable energy and talents on community work" in her beloved west Belfast. 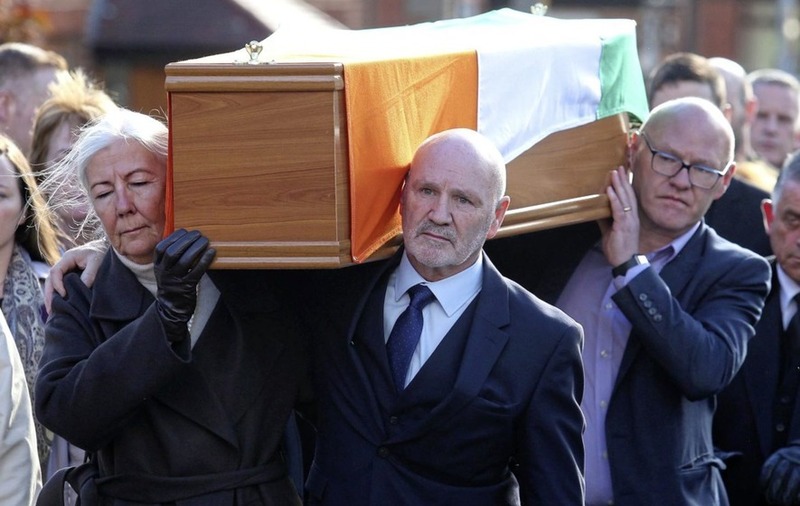 Liz, Alex and Paul Maskey at the Funeral former Sinn FEIn councillor of Teresa Lunney (Nee Tish Holland) took place at St Mathias Church on the Glen Road in West Belfast. Picture Mal McCann. "Tish used her skills in networking and campaigning to persuade others to invest in Upper Andersonstown. She was a very practical patriot. As a result, the Tullymore Community Centre was opened in 2000"
He described her as "a woman of compassion" who "despite the pain and despite how ill she was, Tish was still Tish" when he visited her the Sunday before she died. "The voice was weaker but it still had that slow, softly spoken, melodic rhythm that was Tish. Calm. Reasonable. Relaxed. Tish was a strong woman - a bright, intelligent, immensely able woman." 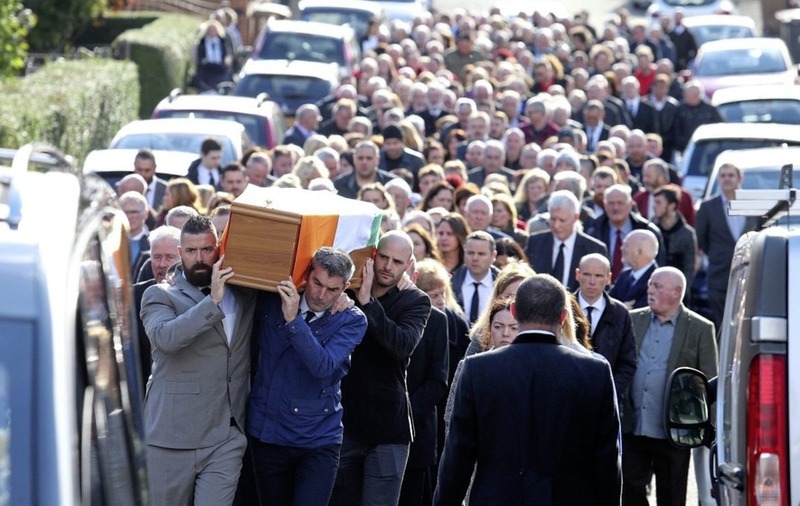 The church service was conducted by Fr Gary Donegan, who had administered last rites to her brother, greengrocer Harry Holland, who was stabbed outside his west Belfast home in September 2007. Fr Donegan said Mrs Lunney had planned the service in meticulous detail from her room at the hospice where she spent her final days. 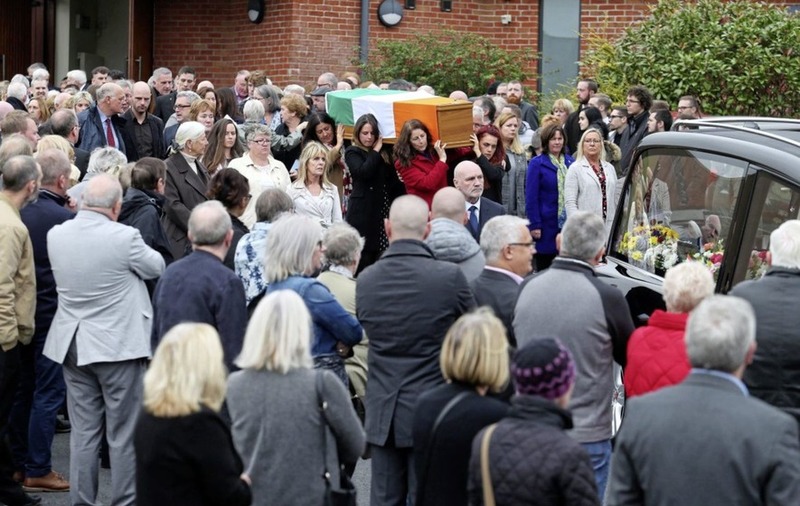 After the oration, her remains were taken to Roselawn Crematorium, where Van Morrison's `Days Like This' were among the songs played during the short service. Mrs Lunney is survived by her husband Phil, children Tomás and Nuala and extended family circle.